We were at Atwoods yesterday picking up a few things for our little farm and we were in the store only a few moments, when I heard it. The sounds of cute, little, fluffy chicks! I left L looking at some clearance table and me the kids made a dash to the chick corral. One of my favorite times is when they bring in the new chicks. It was all I could do to not scoop up some of them and bring them home with me. Lil’ Man felt the same way. 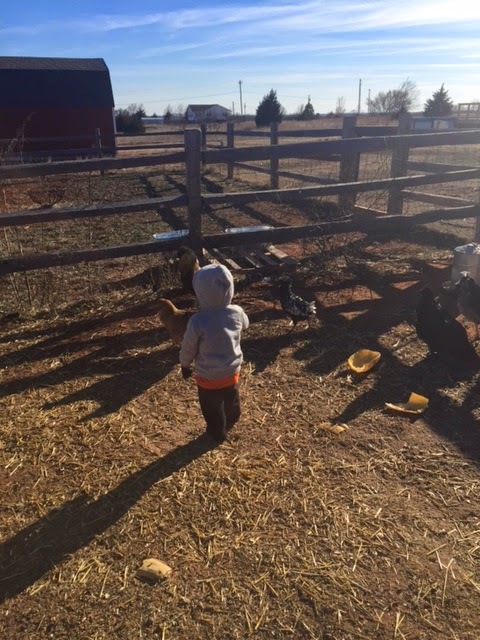 He is used to being able to pick out a few chicks every spring and then raise them inside until they are big enough to go out the big chicken yard. It is such a fun (albeit, at times, stinky and messy) experience. This year, we bought some young hens that should be close to laying. In fact, one of them has began to lay. It is an ever-so-tiny egg…I am pretty sure that is is crazy (she behaves like she was dropped on her head as a young chick) Franny who is my current layer. She is the family favorite. How can you not love her?! 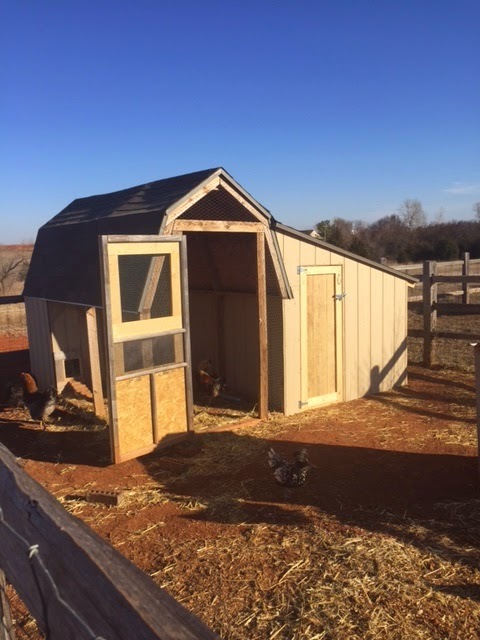 I did find out this week, that I do not have 7 hens and 1 rooster…like originally thought. I was watching Bertha (remember our Behemoth of a hen) do some very questionable things this last week. You know, things that make Lil’ Man say, “Ohhh, chickens like to lay on top of each other to stay warm.”. 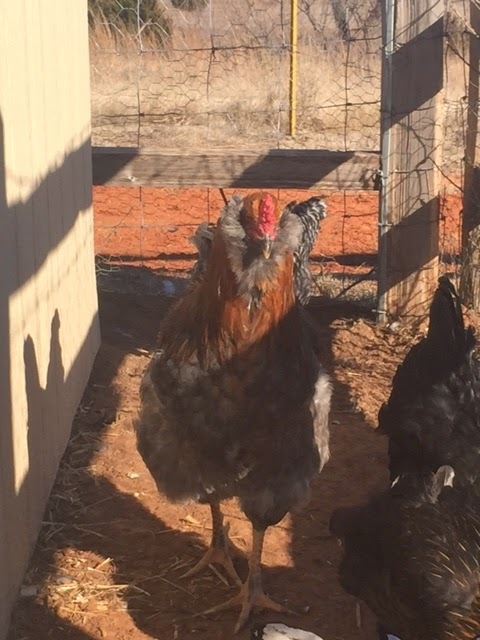 Then, yesterday “she” also started crowing…it sounded terrible. I call it the awkward-teenage-boy crow. 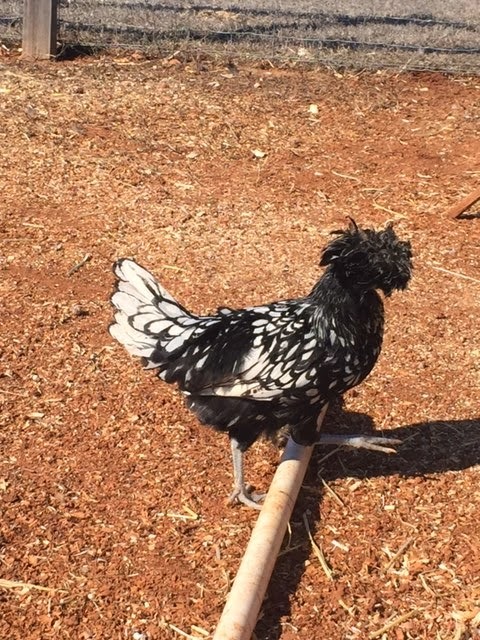 So, Bertha…is now just Bert, our other rooster. Miss Priss loves being out with and chasing the chickens. 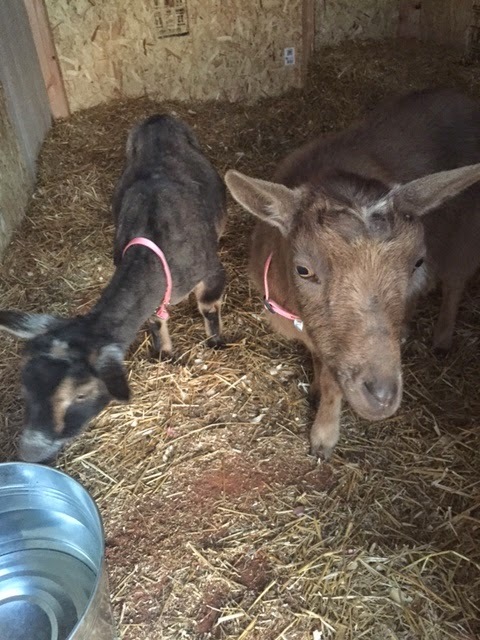 We are now one week into our new venture of owning goats and I have officially spent WAY too many hours reading how-to articles and blogs about goats and caring for them. I want to make sure we are doing everything…the right way. This first week has been, I guess what I would call the “honeymoon phase”. 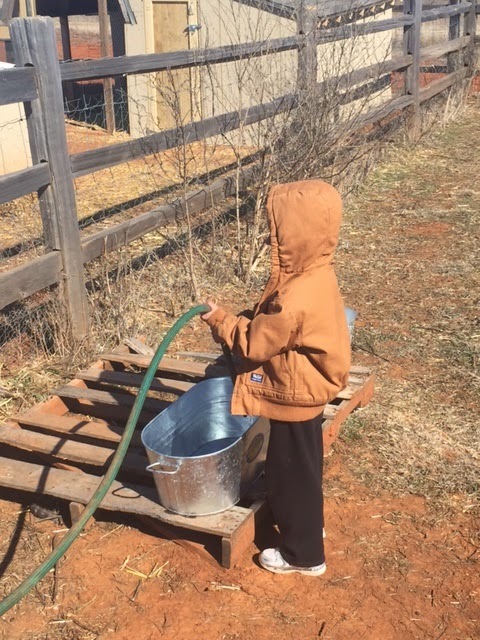 The chores haven’t become chorish and every little thing we get to do for our goats is fun. Even filling up their water container is an excitement because we get to be out there with them. 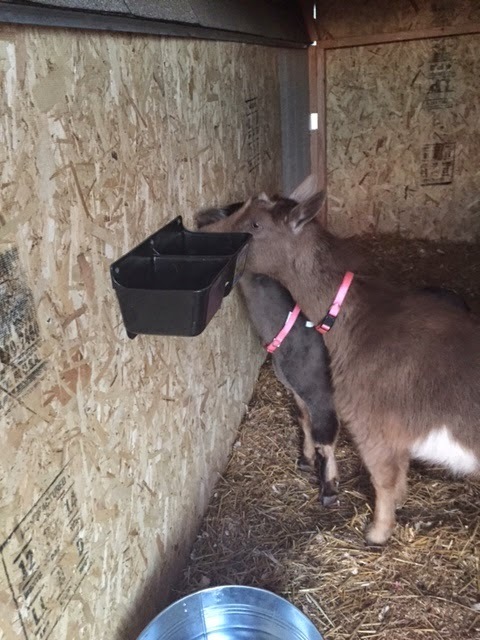 We have enjoyed hand-feeding our goats treats, like apples, while talking to and petting them. 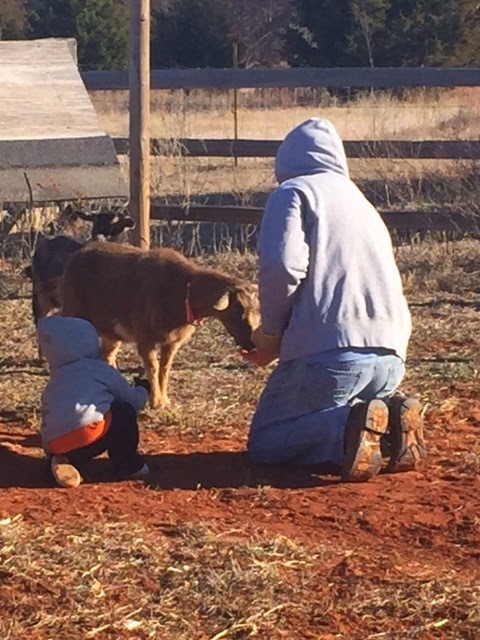 One morning, while the goats were bunking with the chickens, I went out to begin my routine of getting my animals taken care of and I was convinced someone had stolen my goat. Shiloh was missing. She was not where I locked her up with the other one the night before. 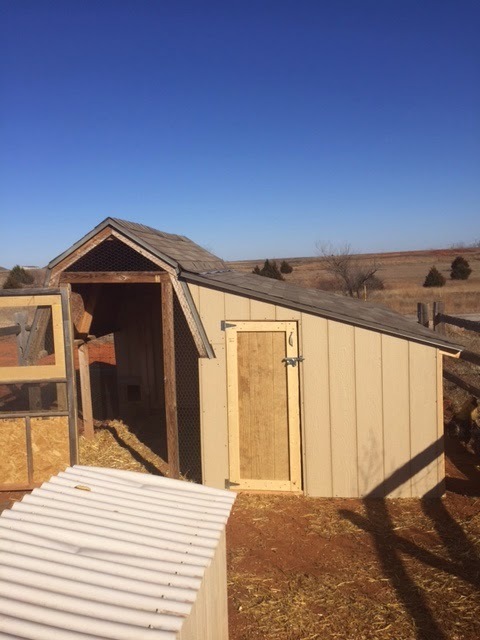 Then I heard a little ruckus inside the actual chicken coop area. 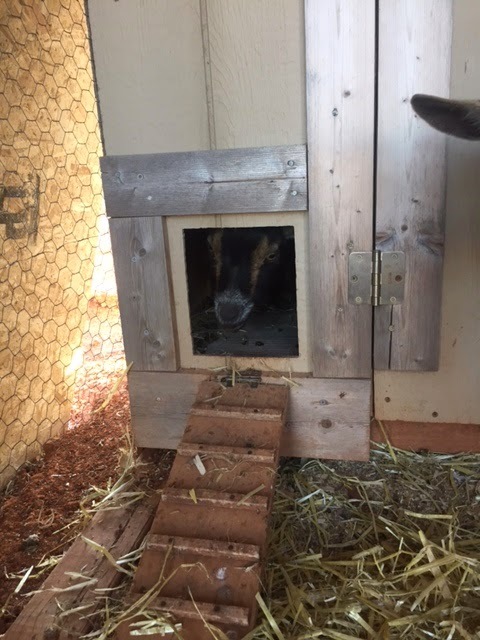 When they say goats can fit through small areas, they weren’t joking. Now, if we could just come up with a name for our sweet (sometimes spunky) doe. Any suggestions are welcome. I can’t just give her any name. It has to…fit her.